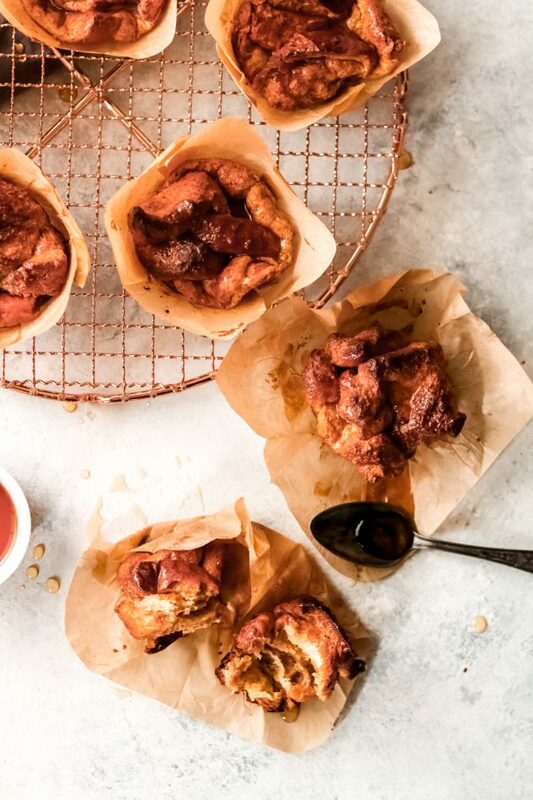 Another perfect brunch recipe to add to your menu with these french toast muffins. 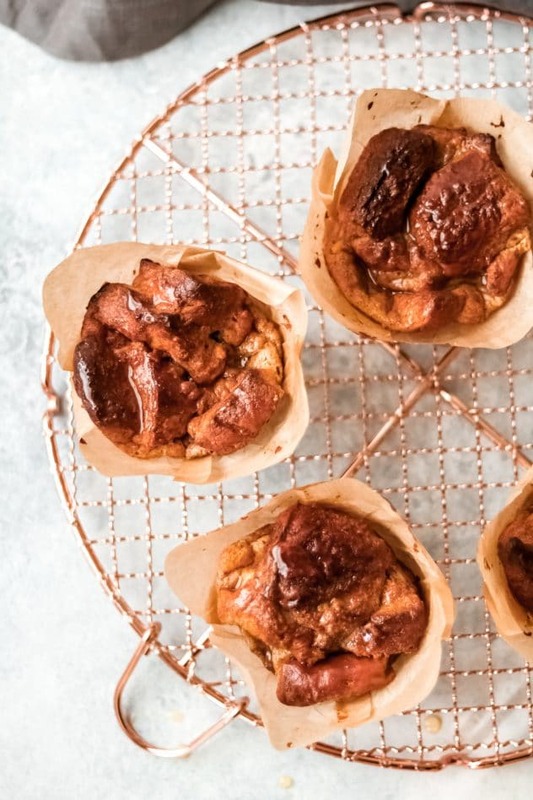 As if french toast could get any better, these french toast muffins are just as good as the traditional-style breakfast but super quick and easy. These muffins are perfect for a quick family breakfast or brunch with your girlfriends. Remember that blackberry marscapone french toast recipe I shared last summer? 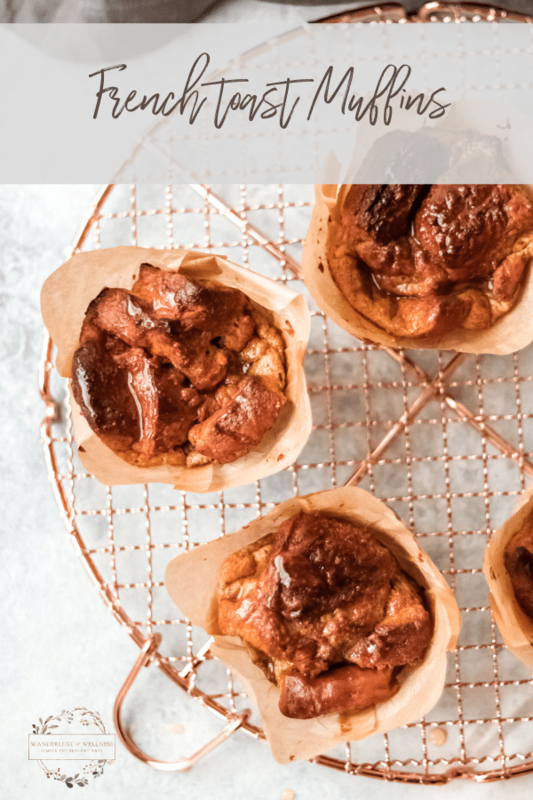 These french toast muffins are a spin-off of that recipe, which means I’m once again loving on challah and brioche bread. Challah bread is my absolute favorite bread for french toast, which you can usually find at a local bakery. If you’re unable to find challah bread, then brioche would be the next runner-up. Of course, if you’re unable to find either of those, traditional French bread would work as well. The reason I like challah and brioche bread is that it’s much denser and soaks up the milk mixture so well without falling apart. 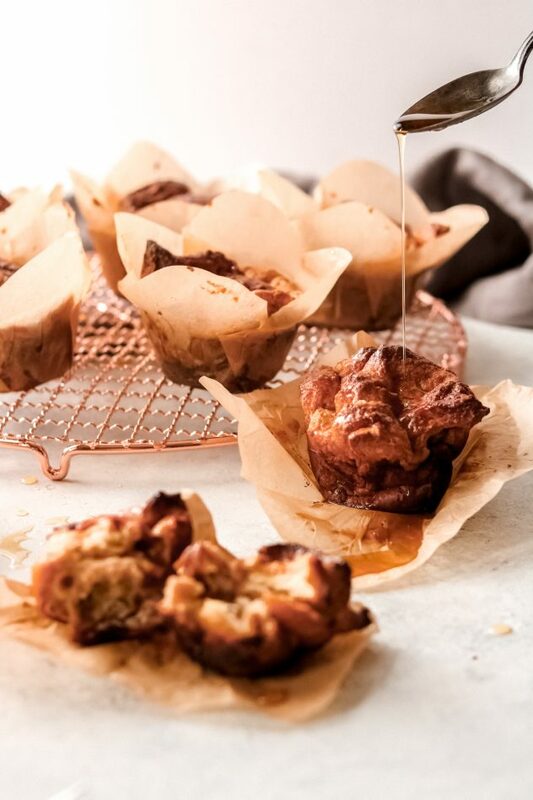 Once your french toast muffins are finished cooking, you can drizzle the top with maple syrup or sprinkle them with some powdered sugar. You can eat them with a fork, or if you need a quick grab-and-go option you can definitely take them on the run. 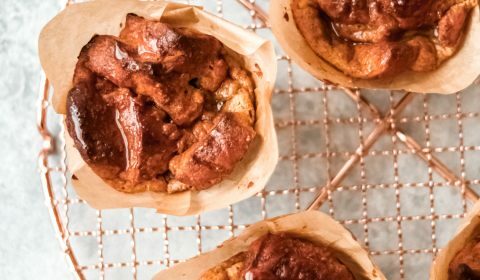 They pull apart like mini-monkey bread muffins and are so moist and delicious. Cut or tear your bread into large chunks (about 1 in x 1 in cubes) and place into a large mixing bowl. In a separate mixing bowl, combine the heavy cream, eggs, cinnamon, maple syrup, and vanilla. Whisk to combine, ensuring the eggs are fully blended. Pour the cream mixture over the bread chunks. Using your hands, toss the bread to thoroughly coat. Line a 12 count muffin tin with muffin liners. Using a spoon, fill each muffin liner with the coated bread pieces. Fill each liner so that you have a nice mound of bread as they will sink after baking. Bake for 45-50 minutes. Once finished, remove from oven and let cool for 5 min. Brush with additional maple syrup or sprinkle with powdered sugar and serve.